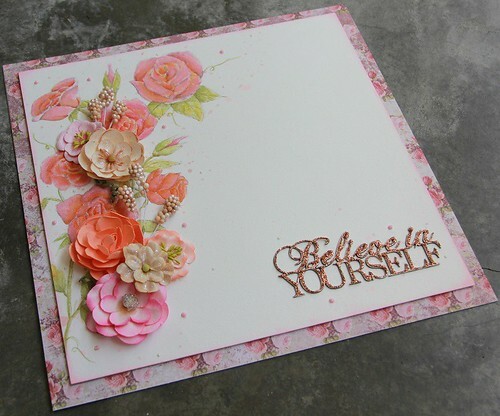 Carol's Paperie: OTRS - "Believe In Yourself"
Hi, everyone. This month at Off The Rails Scrapbooking, we are playing with watercolors and a mood board. And our sponsor this month is Memory Maze. Made this wall decor piece. 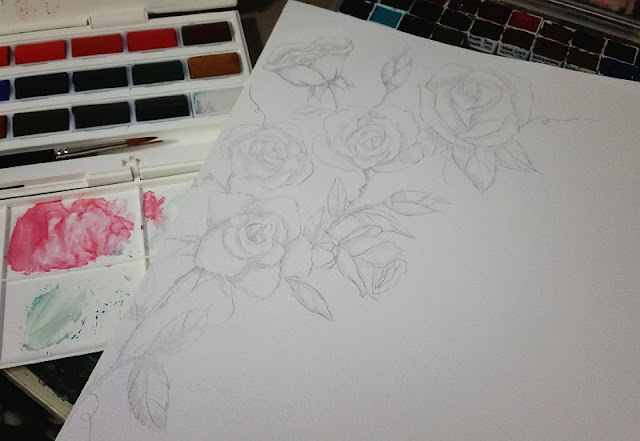 I sketch the flowers out and watercolor them on watercolor paper. Ink the sides with distress ink. Flicked some watercolors on it. 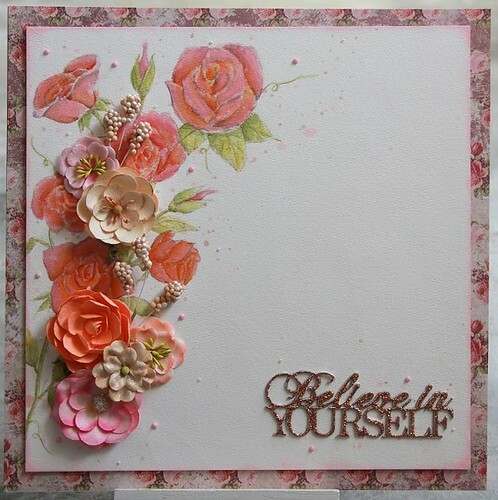 Adhered to a chipboard base and a pattern paper. 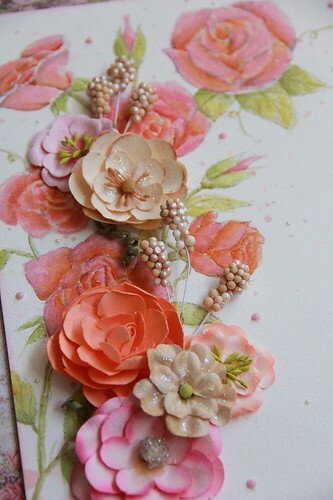 Then added Prima flowers, dome dots and half pearls. 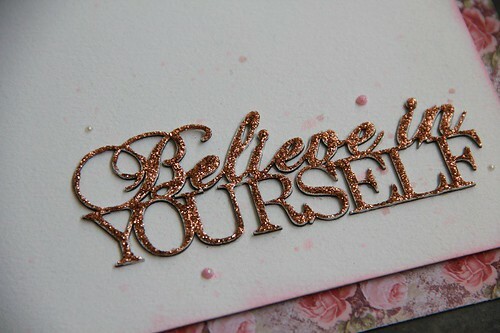 For the chipboard title I gesso it and added bronze glitter. 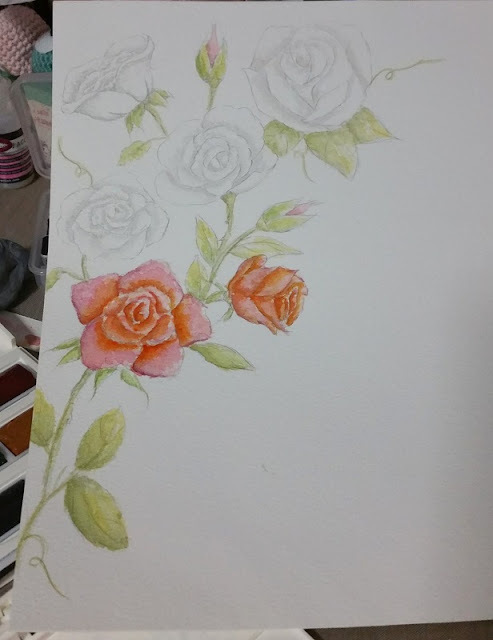 Added glitter to the flowers too. 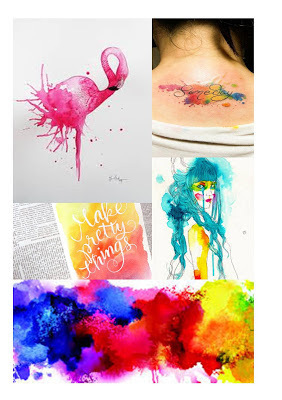 Do try out watercolors in your projects and do join us for our April challenge at Off The Rails Scrapbooking. Have fun.